Santa Ana Register, 11-19-1927, page 8. Courtesy of http://www.newspapers.com. 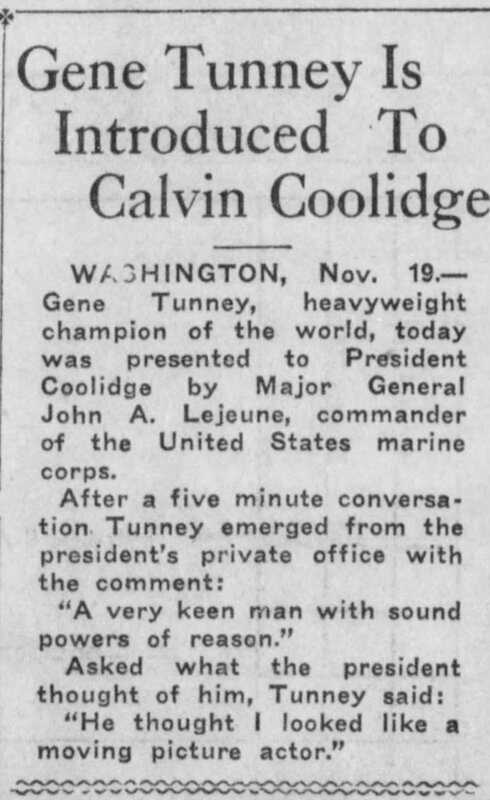 It is an interesting similarity that after winning all but 1 of his fights, including his second defense of the World Heavyweight Title the following year, Mr. Tunney, like the man he met in the White House, quietly walked away. 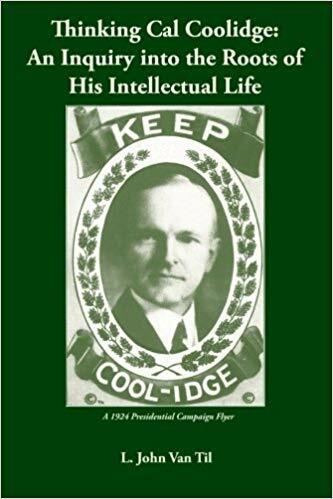 Like Coolidge, he remained undefeated, at the peak of his success and content with what he had accomplished. 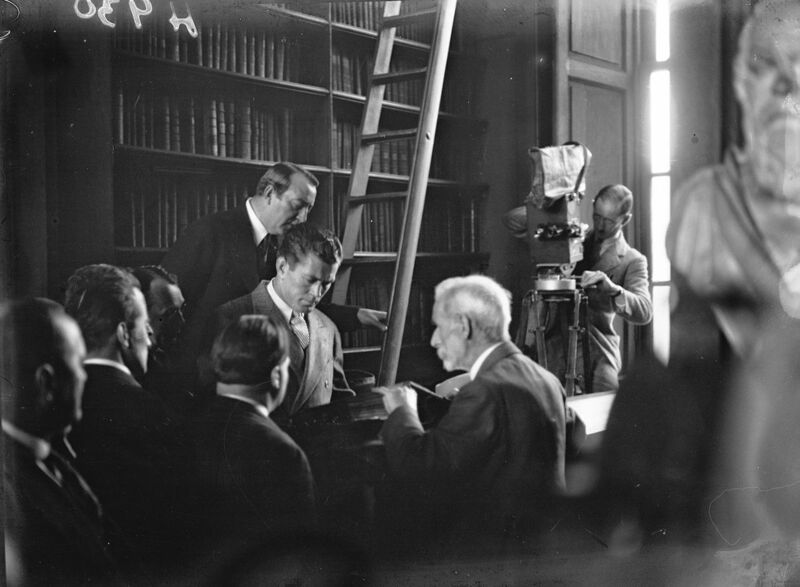 Gene Tunney at the National Library of Ireland’s Long Room Library, Trinity College, Dublin, August 24, 1928. 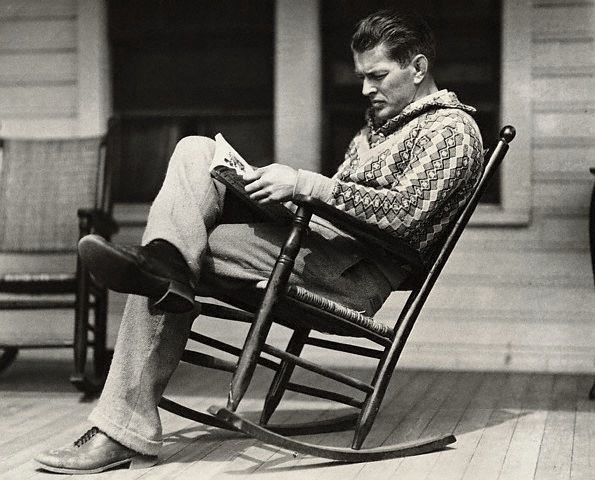 Tunney was a voracious reader, who loved the classics. Here he is taking a few moments in training for his rematch against Dempsey to read and think. 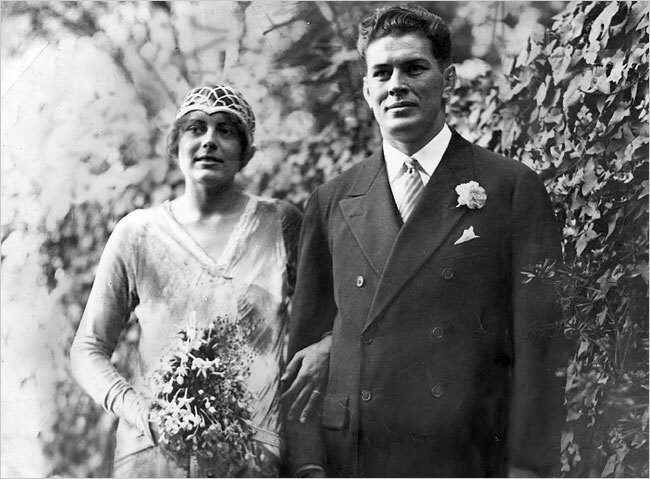 Gene Tunney married Polly Lauder upon his retirement from the ring, October 3, 1928. 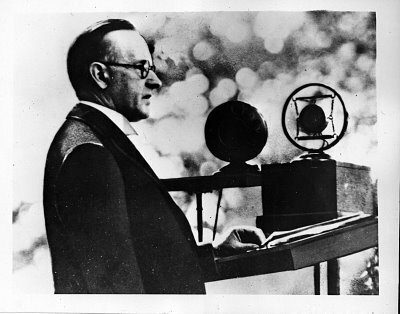 One of the great romantic matches of the 1920s, the Tunneys were married just over 50 years, until his death at age 81 in November 1978. She would live to see age 100, passing in April of 2008.